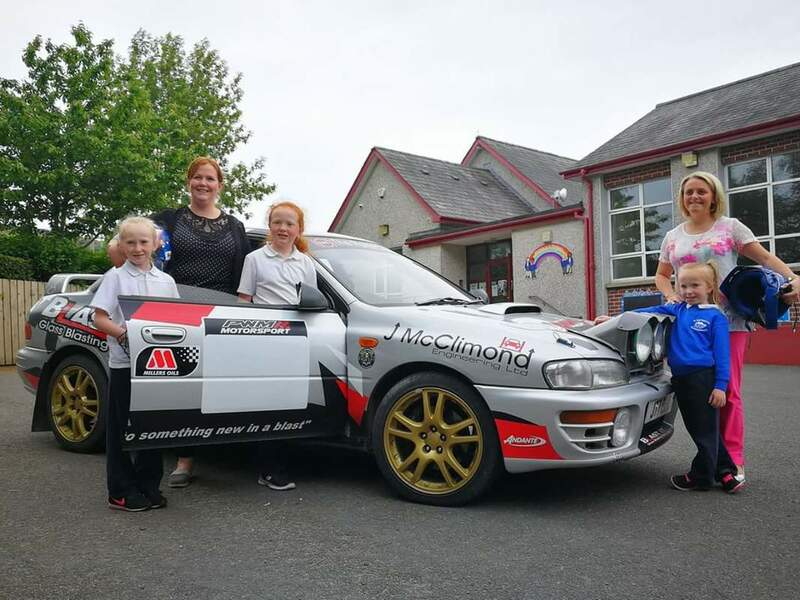 The Carryduff Forklift Down Rally Team had the pleasure of going back to school with GoMotorsport's Regional Development Officer, Jonathan McDonald. We were kindly greeted by the enthusiastic pupils of St. Matthew's Primary School, Magheramayo and their Principal Ms Wadsworth. Jonathan spoke to the young motorsport enthusiasts about the safety elements of motorsport and fielded an array of questions, from 'how much does a rally car cost?' to which type of motorsport is considered most safe. They also provided some interesting insights into the world of motorsport commenting that the seats in the rally car are like the booster seats and baby seats in their own family cars. We were greatly impressed by the highly knowledgeable pupils who showed a spirited interest in the sport that graces their local roads so often. We look forward to seeing some of the pupils again at the Eikon Centre in Lisburn and spectating at the stages on the 21st of July. We can't wait to collect our competition entries from the school for our Colouring Competition and our Design a Carryduff Forklift Down Rally car sticker competition. Thank you to all of the pupils and staff at St. Matthew's for allowing us to join your class today.